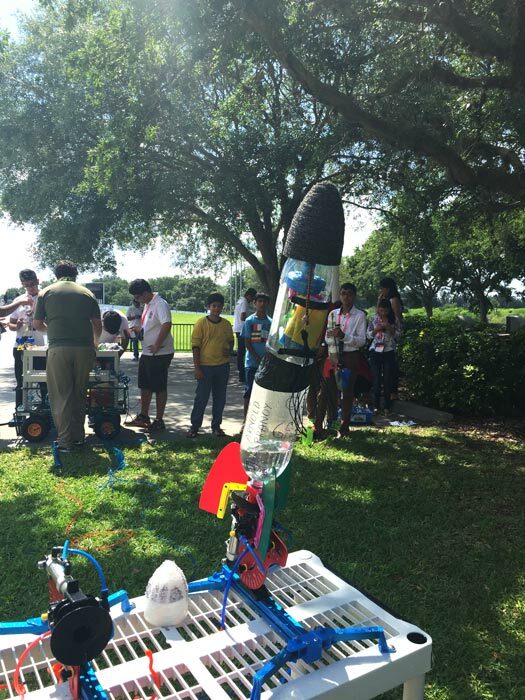 This camp offers the combined learning of the two most versatile concepts of Space Exploration - Robotics & Rocketry. 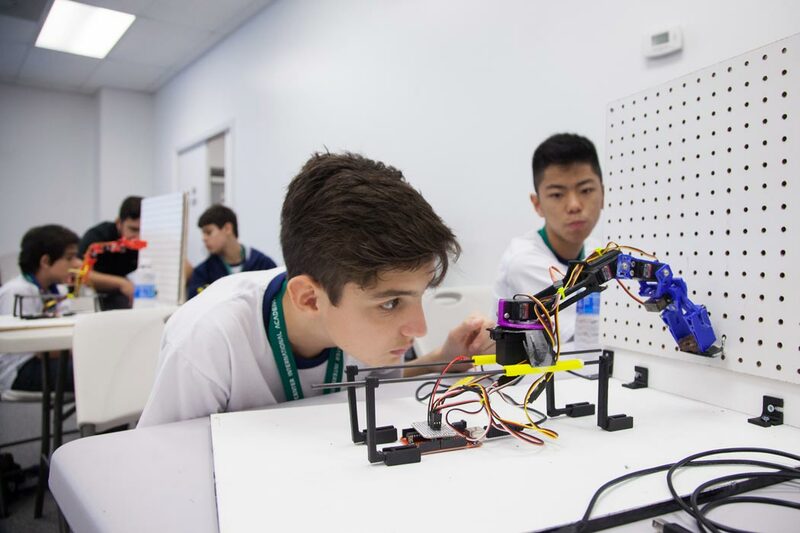 Together students will collaborate in teams to program a robot made of our in-house designed 3D printed components and electronics. 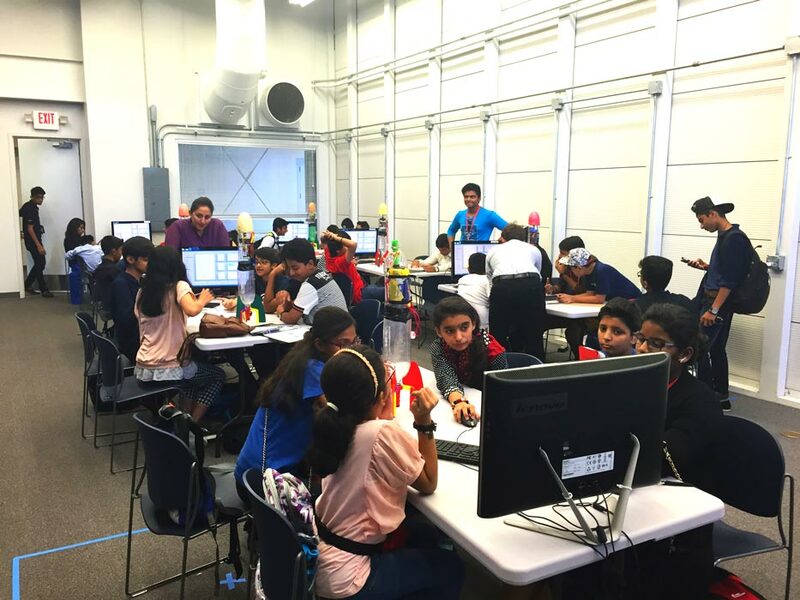 While closely following instruction, teams must work to master particular programming concepts for their robots to complete challenges. Each challenge will become more difficult than the last as they utilize these concepts and build upon their programming knowledge. The robot each team will have consists of two major features, one being the robotic arm and the other the robot itself. 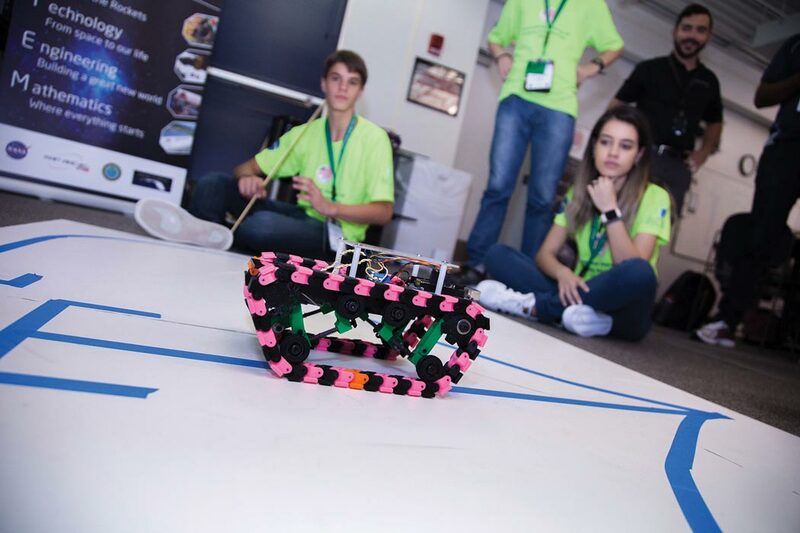 Teams will learn to program both of these features and to ensure success and retain knowledge, members of each team will separate themselves to specialize programming the robotic arm or the robot movements. 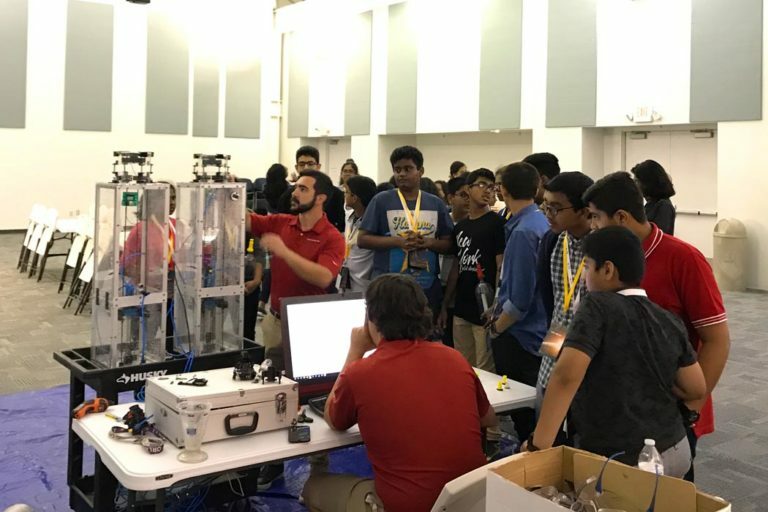 Specialization will be an essential component of collaboration when the teams compete against each other during the final Mars surface mission. 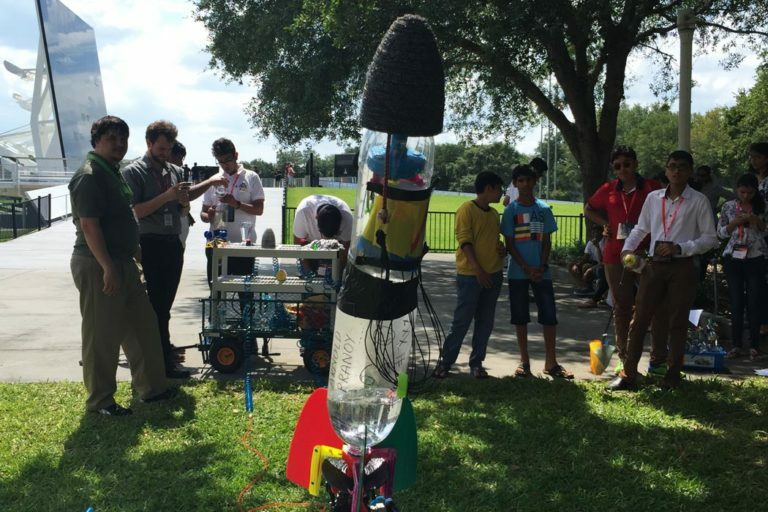 Students will work in teams to construct a Water Rocket using parts that have been designed, 3D printed, and laser cut in our fabrication lab. 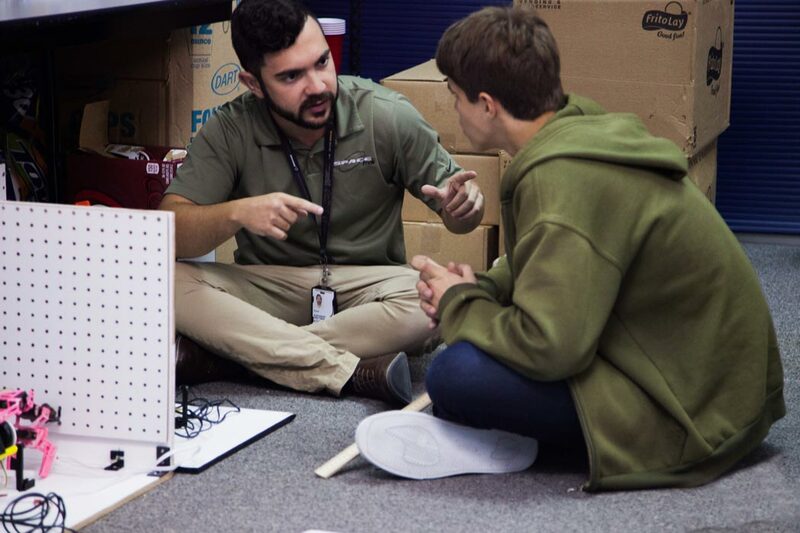 Each team is comprised of individuals working together with separate roles that simulate positions on a small scale of how NASA launches their rockets. After construction, the students will choose these roles and have different duties based on each role they have been assigned. 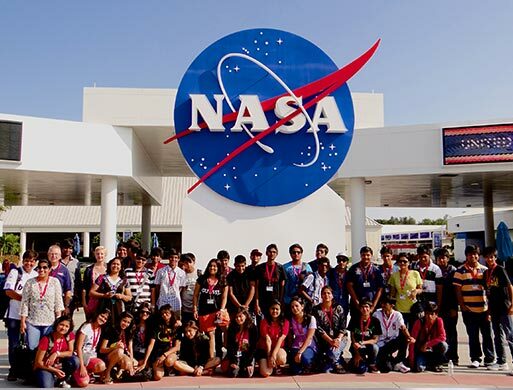 The Mars surface mission is the ultimate challenge students will be preparing and practicing for on the final day. This challenge takes place on our 16ft x 16ft (4.9m x 4.9m) Martian surface mockup where the terrain is much like that of actual Mars with some of the iconic features such as Olympus Mons and Schiaparelli Crater. Teams will have to use all of the programming concepts, mechanical knowledge, and any other functions and skills they will have learned in the days with us alongside their specializations to complete the Mars surface mission successfully. With nothing more than a large map, a computer to program, and a wireless camera attached to their robot as their only source of vision students are isolated from the Martian surface as they try to remotely maneuver their robot to designated target areas for sample collection. 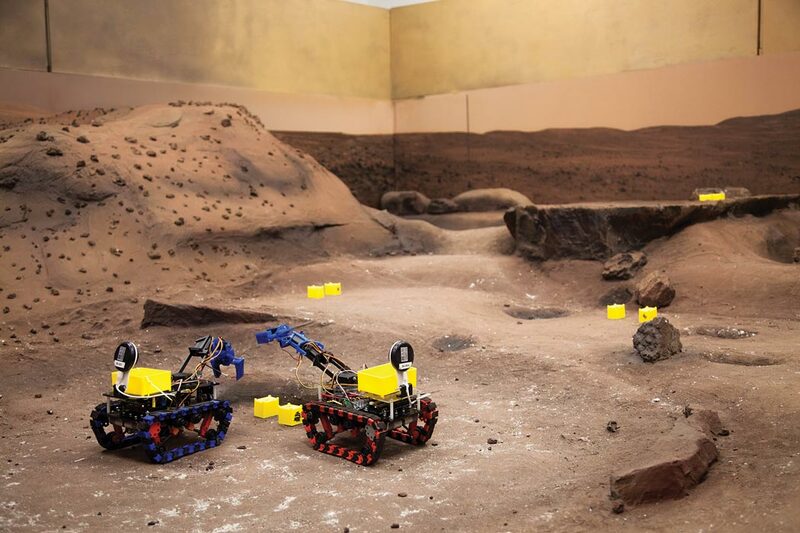 Using a significant amount of teamwork to traverse Mars the teams must use their robotic arm to precisely collect certain rock samples scattered across the surface for study. 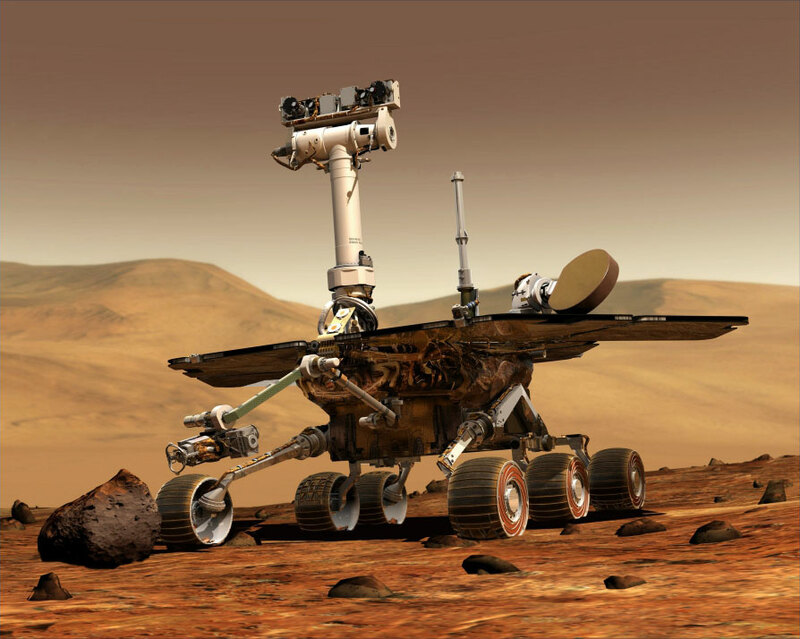 Geological information will signal to students of possible nearby scientifically valuable samples through the use of radio frequency identifiers (RFIDs) embedded into the Martian surface that the robot can detect. 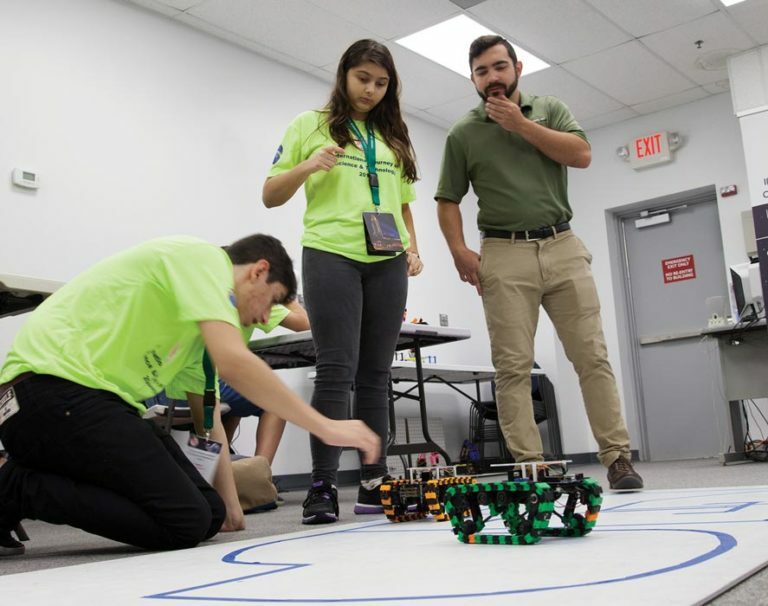 Approaching these areas for collection can prove to be difficult as the robot must be commanded to navigate around tough obstacles such as large craters, valleys, descents, and ascents.